Social Security Disability Insurance (SSDI) is a workers disability program that pays monthly benefits to individuals who become disabled and unable to work before they reach the age of retirement. If you have a disability, have worked long enough to qualify for benefits, and meet the medical criteria for eligibility to receive financial assistance through this government program, contact Angotti & Straface Attorneys at Law L.C. in Morgantown, WV. The process to apply for SSDI involves a substantial amount of paperwork, documentation, and can sometimes involve a waiting period of several years before a successful determination is made on your case. Our law firm serves disabled residents living in Monongalia County to claim the income that they are entitled to receive before financial difficulties makes a discouraging situation even worse. The disability lawyers at Angotti & Straface have over 66 years of combined experience assisting our clients with their SSDI applications, as well as the appeal process as necessary. Our success rate is impressive. We know exactly what the requirements are for SSDI eligibility and can quickly determine whether or not your condition qualifies you to receive benefits. We offer a free initial consultation to discuss your case. If we determine that your case has merit and accept you as our client, we will assist you with all aspects of your application from beginning to approval of benefits. There is no need to wait on the phone all day for months on end, fill out confusing and poorly worded questionnaires, or track down obscure medical records. Let us handle everything for you while you focus on living the best life possible. Since 1952, Angotti & Straface have been working to make life easier for our disabled clients. With just one call, we will begin the process of preparing your case for presentation to the Social Security Administration (SSA). Our administrative team will work with you to locate your medical records, listing of medical condition(s), medications, test results, tax records, work history, and any other relevant materials for your attorney so that he can develop and present the most compelling argument for your application. We do not charge attorney fees for our clients and our services are provided free of charge unless we recover on your behalf. Many of our clients ask, “Am I Disabled?” The SSA maintains a list of disabling conditions. You may be eligible to receive Social Security Disability benefits even if your impairment is not on the list. You will be asked a series of questions related to your work history, your ability to perform your previous work, other types of work, how severe your condition is, and how it interferes with your ability to work. Many denials are caused by a lack of information or unclear responses. Contact our law firm for assistance with your SSDI application. 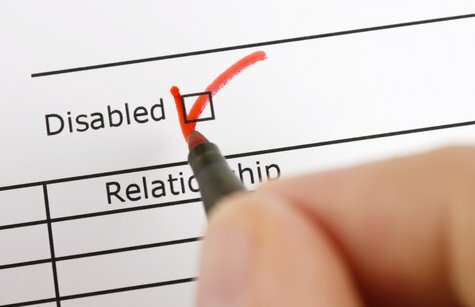 Our attorneys will ensure that your paperwork is filled out properly and accurately so that you have the best possible chance of a successful outcome for your disability application. Call us at: (304) 292-4381.